Got to love instant food! The food that arrives before you even order can make your day. What’s better than chips and salsa? 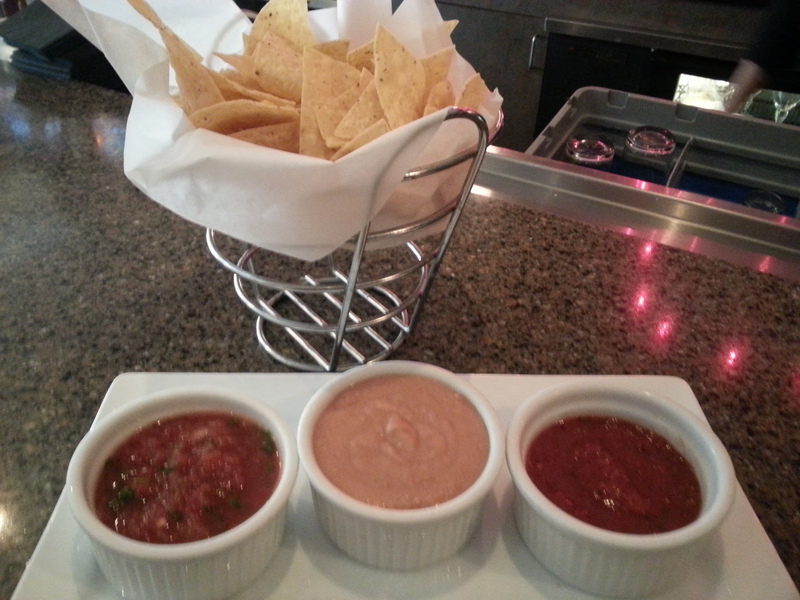 Two salsas with a bean and cheese dip in between! Simple yet ingenious. They already have beans and cheese. Why not blend the two and serve them warm!? One salsa has a standard cilantro lime for those who are purists. The other salsa has a slightly smoky flavor as though they used Chipotle or another smoked pepper for those of us who like a little pizzazz. This entry was posted on Sunday, November 17th, 2013 at 5:15 PM	and posted in El Dorado, Food. You can follow any responses to this entry through the RSS 2.0 feed.